Credit cards have a variety of uses and can provide different benefits including rewards points, cash back, free airline travel, and even a better credit rating for responsible consumers. However, if it is used incorrectly, it can mean that the customer can end up knee-deep in debt. Before anything else, it is critical to determine if you can actually pay for an item before you charge it to credit. Otherwise, your debts will pile up not only because you keep borrowing but also because of compounded interest. Pay Your Credit Card Bill By the Due Date – late fees can be significant. It can readily amount to $30 or higher depending on the credit card company. Take note that missed or late payment can also adversely affect your credit card score and increase the interest you need to pay on future loans. Limit the Number of Your Credit Cards – most people have more than one credit card. An average person holds two to three cards while some have as much as six credit cards. This serves no purpose other than make the temptation to buy almost irresistible to you. Try to close one account at a time if you have more credit cards than you should. Don’t close two at the same time because it might lower your credit score. Learn to Negotiate – it is possible to negotiate for a better rate especially if you have a good credit score. Compare several offers and then call your credit card company to ask them if they can match these offers. Read the Fine Print – find out how much you need to pay as interest, the grace period, and any hidden fees that may be charged by the credit card company. Congress has recently passed a bill that prevents abusive credit card practices but it will not be in place until July 2010. 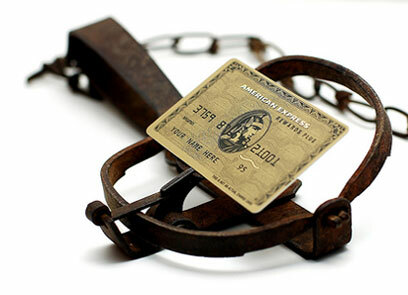 In the meantime, it is important for you to remain cautious in using your credit card. It is undeniable that credit cards are essential financial tools today. However, like most financial products, you should know your spending limit whether or not you’re using credit. Many companies offer various types of features including low interest and rewards points. Be sure you know what you’re getting into before you charge anything to your card. Credit Card Rate Changes – What Can I Do? What is Debt Counseling and is it important?